VMG Global, the manufacturer of American Cellular Labs “Tren Xtreme” and “Mass Xtreme“, has pleaded guilty to one count of introducing unapproved drugs into interstate commerce and has agreed to a fine of up to $500,000. The VMG Global case is the first of several pending investigations targeting the marketing of steroidal compounds as dietary supplements since BALCO prosecutors have turned their attention from “steroids in sports” to “steroids in supplements”. Rick Collins, steroid legal expert and attorney for VMG Global, described the plea agreement as a model for supplement companies facing prosecution in the many other steroid investigations affecting the industry. Collins successfully negotiated an “intelligent and fair” plea agreement that kept the principals of the company from personally facing felony charges and imprisonment. I think this case represents the next phase in the Government’s evolving approach to what it perceives as a major problem in the sports nutrition supplement market. The Government wants steroidal supplement products off the market, period. I suspect that from the perspective of regulatory and enforcement officials, warning letters are ineffective, Congressional changes to the law can be vague and confusing, and administrative amendments can take forever. Execution of a search warrant followed by criminal prosecution in a federal court is a way to get a target’s attention in a big way. It can also bring money, in the form of forfeited revenues, into the Government coffers and send a message to others in the industry that the Government means business. The scariest aspect of this approach is the potential for the principals of a company to be prosecuted as individuals – personally facing felony charges and years of imprisonment. The team members behind this particular investigation and prosecution are the same folks who launched the BALCO investigation and are pursuing Barry Bonds. Steroid cases are something they’re familiar with – probably much more so than any other Government office. While I continue to have some fundamental differences with them as to the interpretation of certain language in the federal steroid laws, I vastly prefer having them as adversaries over a team of agents and prosecutors who lack experience and understanding in the subject matter. While the saying is that the hallmark of a good negotiation is that everyone comes away unhappy, the Americell-Labs.com case was resolved in an intelligent and fair way that satisfied both sides. It should serve as a model for similar pending matters. While nobody went to jail, there was a huge fine imposed along with an agreement to comply with additional quality control measures, including having future products tested by an independent lab for banned substances before bringing them to market. The principals of companies who continue to market these products may face even more aggressive sanctions. The case should send a message to companies, and individuals as well, that the Government is committed to the position that synthetic steroid ingredients have no place in dietary supplements. The U.S. Attorney’s Office in San Francisco has previously launched criminal investigations of Bodybuilding.com, iForce Nutrition, Genetic Edge Technologies (GET), Kilo Sports (KS), and Innovative Delivery Systems (IDS). The current status of these investigations is unknown. 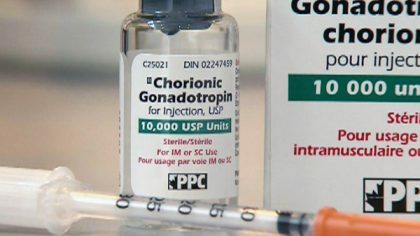 However, customers of Bodybuilding.com have purportedly been contacted by the FDA as recently as this month regarding the company’s recall of products allegedly containing illegal steroidal ingredients. The search warrants from these pending investigations suggest that the government may be inclined to indict principals personally should the sports nutrition companies be prosecuted. As Rick Collins notes, this is indeed a “scary” approach from the government in the crackdown on the industry.